I don’t have a copy of Survive and maybe neither do you so this seemed the logical choice to go for. If you own survive already it’s not different enough to warrant a purchase IMHO. 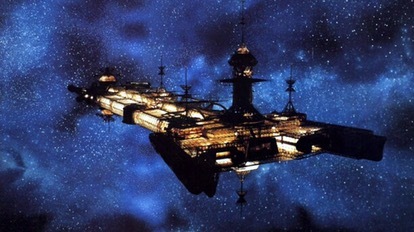 The new version is set in Space (the final front ear /tugs ear) onboard a disintegrating Space Station. You need to get your chaps off and into the four corners of the map for them to survive. 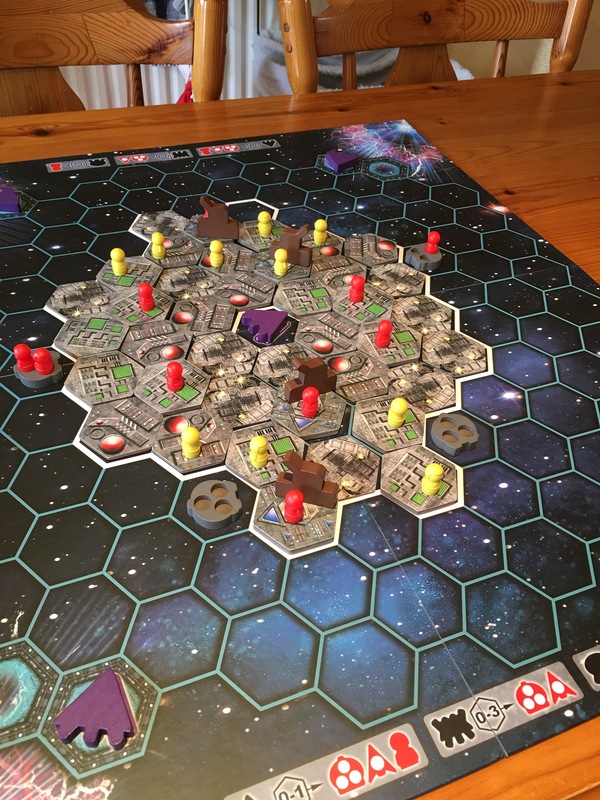 The space station is made up of 30+ hexes that get removed one tile at a time by players each turn and unleash all sorts of nasties into the already fraught air space. The game comes nicely packaged with all the pieces bagged and tiles nicely seated in the box insert. The bits and bobs are solid and the artwork nice. It’s not quite as nice looking as survive but that’s a matter of opinion. Production values are good. The aliens are wooden meeples and don’t inspire horror but this is a family game (for evil families) and it’s more than sufficient for the gaming ahead of you. 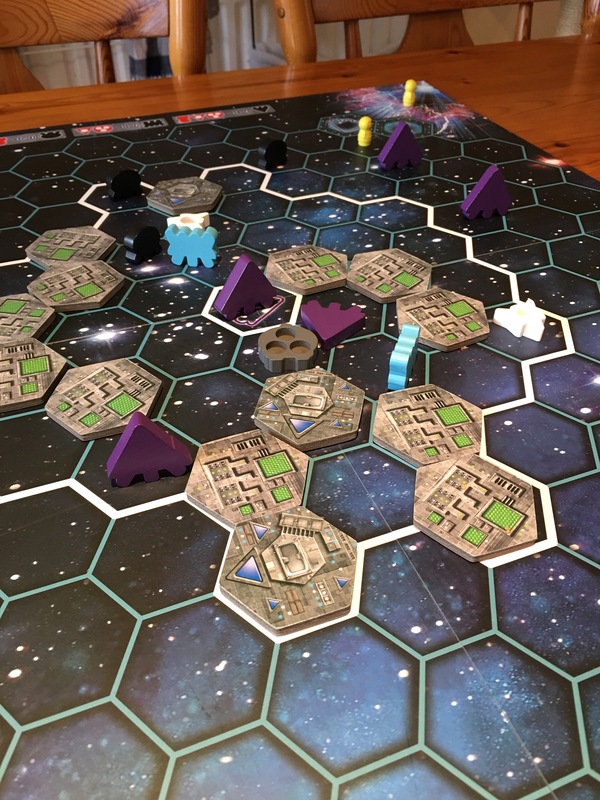 Each turn sees you moving your dudes towards safety, picking another hex of the space station to destroy, kicking off a mini event on the back of the hex you picked and taking temporary control of one of the marauding aliens to frustrate someone else’s plans. In this game is absolutely not enough that your dudes survive it’s key that everyone else’s don’t or at least sufficiently few of them that you beat them. 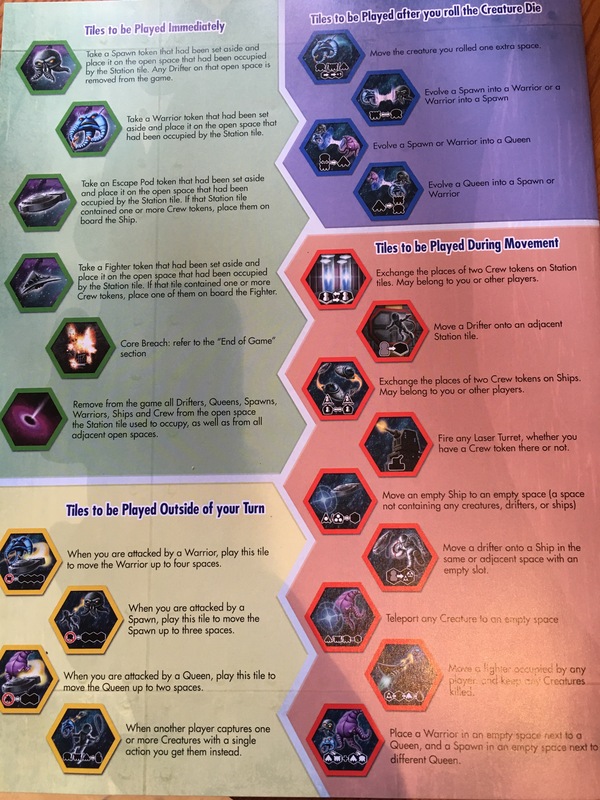 To aid this aside from momentary control of some of the aliens at the end of your turn you also get tiles that allow you to juxtapose two dudes, fend off aliens, bring in escape pods and fighters.